Summer weather has finally shown up in my neck of the woods, which means cold food will soon be a necessity. In an effort to make my (daily) frozen dessert not always be a serving of ice cream, I attempted frozen yogurt. The bountiful supply of strawberries at Costco led me towards a strawberry flavor, which always seems like a great summer treat. This recipe is superbly easy and includes fresh strawberries to make use of your summer fruits. It’s not quite as creamy as ice cream (of course), but is much healthier and still has that delicious yogurt tang. Wash, hull, and then dice strawberries into small pieces. Lay on a paper towel to soak up the extra water. 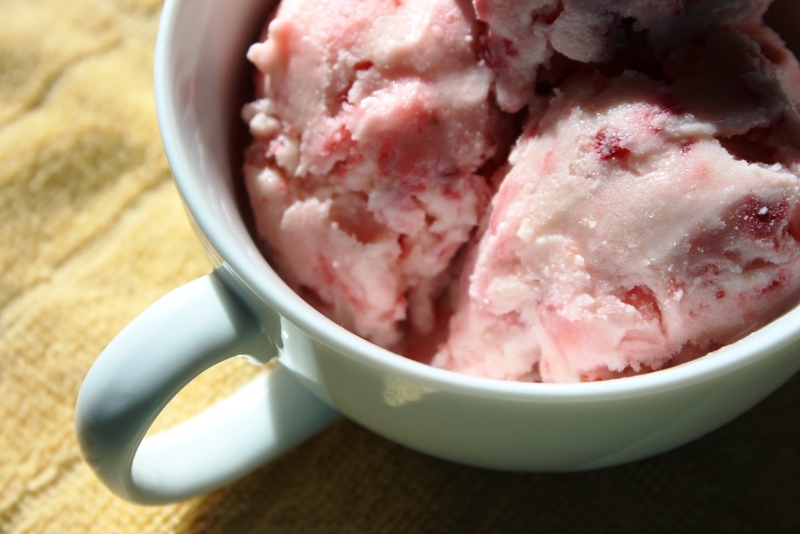 Mix yogurt and sugar in a bowl until thoroughly combined, then chill in the fridge for about 30 minutes. 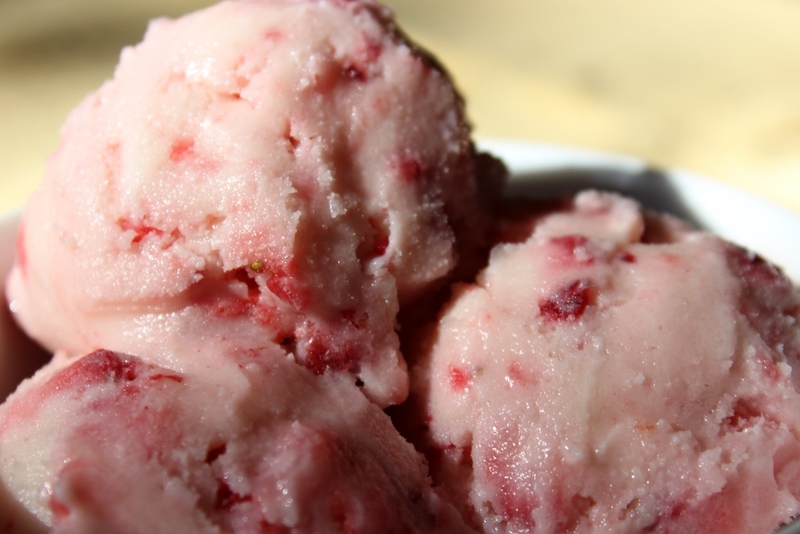 Put your strawberries is fridge to chill while you churn the yogurt mixture according to your ice cream maker’s instructions. Transfer to a freezer safe bowl and place in the freezer for at least 3 hours or overnight. Set on the counter for 10 minutes, serve, and enjoy! The brand of yogurt might not be important, but Greek Gods is the only brand I buy so I can’t say for certain. Thoroughly dry the strawberries because the extra water can make the yogurt a little icy. You can also opt not to mash the strawberries if you are concerned about the texture. The juice is what makes the yogurt a lovely pink color, but it’s not strictly necessary; you could also add a few drops of red food coloring instead but I preferred the natural coloring. Mine was not “soft serve” right after churning but firmed up nicely in the freezer. Make sure you allow freezer time!